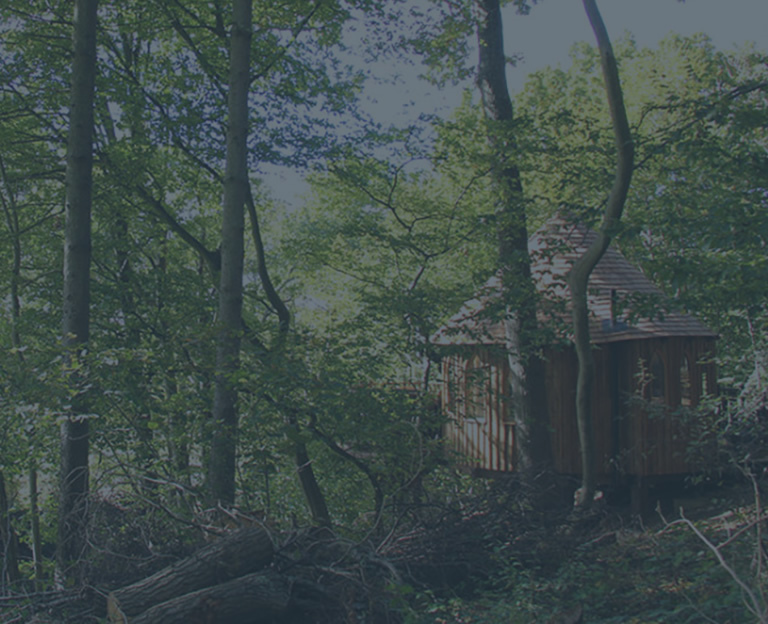 Luxurious, secluded, picture-perfect treehouse nestling in an area of outstanding natural beauty only 45 minutes drive south of the M25. 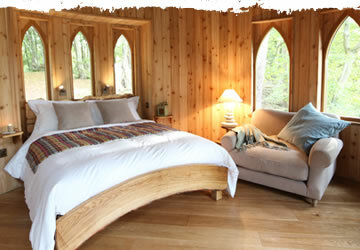 From the moment you arrive at Hoots Treehouse, you will be assured of a very warm welcome by host Lucinda. 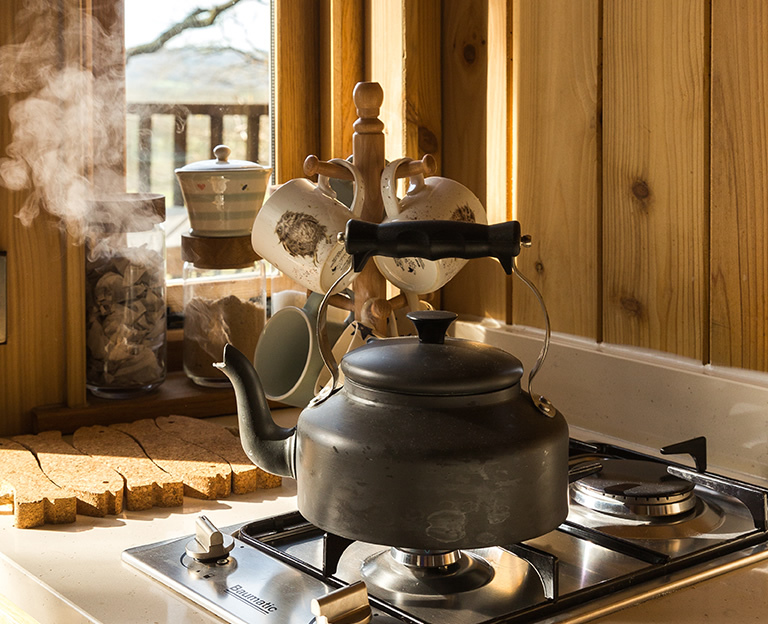 If you arrive in time for tea you can enjoy homemade cake, either on the spacious decking overlooking the pond, or snuggle up by the cosy wood-burner. All the comforts you would expect are here including a 40″ TV and DVD player, and a blue-tooth Bose speaker. The beautiful locally hand-crafted king size bed sits neatly in the window recess with pure white Egyptian cotton and super soft rugs. If you have children over 6 the loft has just enough room to squeeze two of them in with access via a ladder and hatch. King size bed, Eygyptian cotton bedding, supersoft pillows. Fully equipped kitchenette: 2 ring gas hob, microwave, fridge Tassimo coffee maker. Bathroom with shower, heated towel rail, fluffy towels provided. Fully heated plus a log burning stove (logs included). Electric lighting from solar and generator. Gas BBQ & garden furniture on decked balcony. Sorry, pets cannot be accommodated. Arrival after 3pm – departure by 10am. 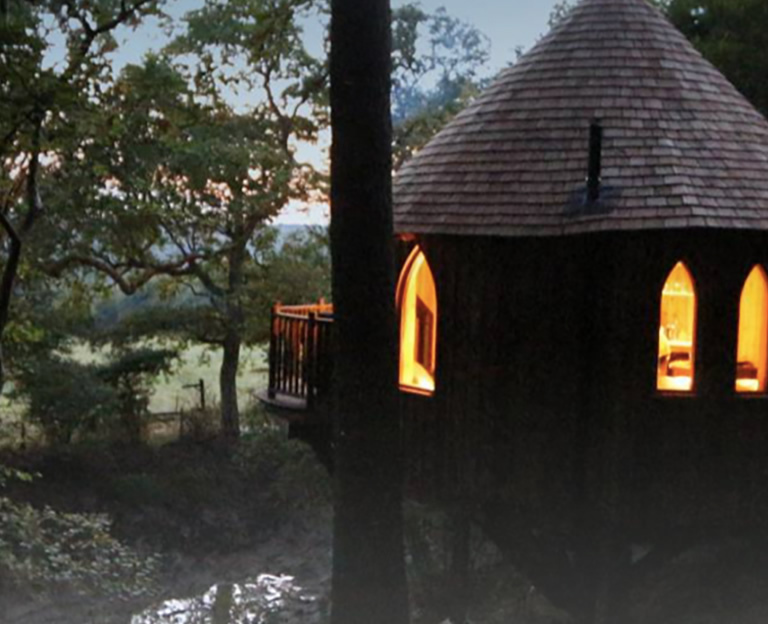 I've rarely stayed anywhere that offers such comfort, while being so deliciously isolated. 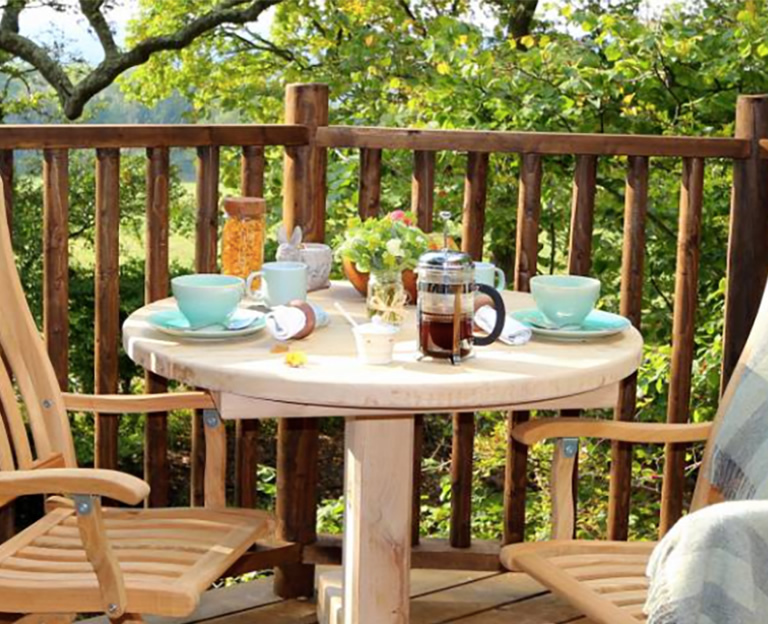 The perfect rural bolthole – we can't wait to come back.